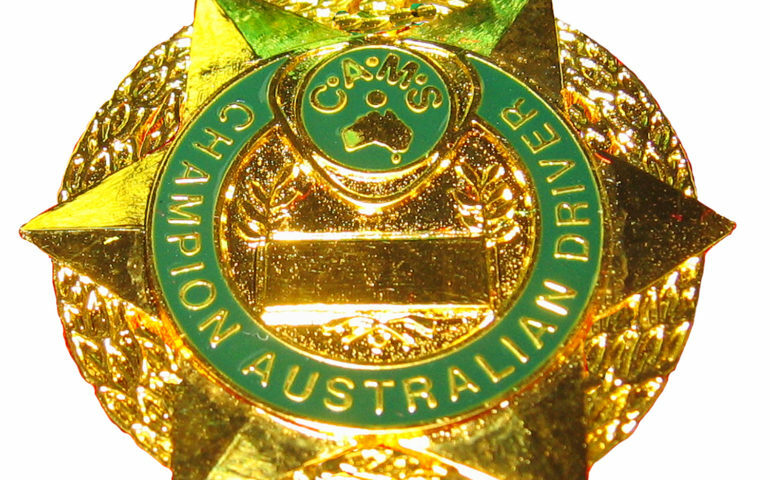 IT’S TIME to bring back the Australian Drivers Championship and with it, the Gold Star award. Awarded every year between 1957 and 2014, the CAMS Gold Star was traditionally awarded to the best performer in Australia’s premier open-wheel category. The award was inaugurated in 1957 and is believed to have been based on the British Racing Drivers Club’s (BRDC) famous Gold Star, itself founded several decades earlier. However the award was pulled from regular presentation early in the 2015 season when CAMS deemed that the category representing it at the time – Formula 3 – was not meeting required grid size standards. It has not been awarded since, however the advent of the all new S5000 category is set to give Australia a headline open-wheel act that should slip perfectly into the ‘premier open wheel category’ description that the Gold Star / ADC warrants and deserves. The BRDC Gold Star was founded in 1928 as a means for the club to recognise high achievement via a ‘Club award of merit’. The award took the form of a Gold Star, which would be presented based on a points system taking into account key results across a broad spectrum of races and events. Rather than awarding it to one driver, the BRDC system also often saw several Gold Stars awarded each year. Notable achievements included Stirling Moss scoring the most points in each year, bar one, in the 1950s as he set a record and won 10 BRDC Gold Stars – four more than the next best, David Coulthard. Sir Jackie Stewart also has six Gold Star awards, three for his Formula One title victories. The late Jim Clark is the only driver to win three in a single year – 1965; the same year he won the World Championship and the Indianapolis 500. In Australia, the Gold Star was launched in 1957 as the main prize for the Australian Drivers Championship, Australia’s then-top open wheel category that ran under Formula Libre regulations – essentially the same Formula One and Formula Two cars that raced in Europe at the time. The legendary Lex Davison, driving a Ferrari 500, won the first Gold Star with six victories from nine races, including the Australian Grand Prix at Caversham in Western Australia. The ‘early’ era saw the likes of Stan Jones, Alec Mildren and Bib Stilwell etch their names into the record books. 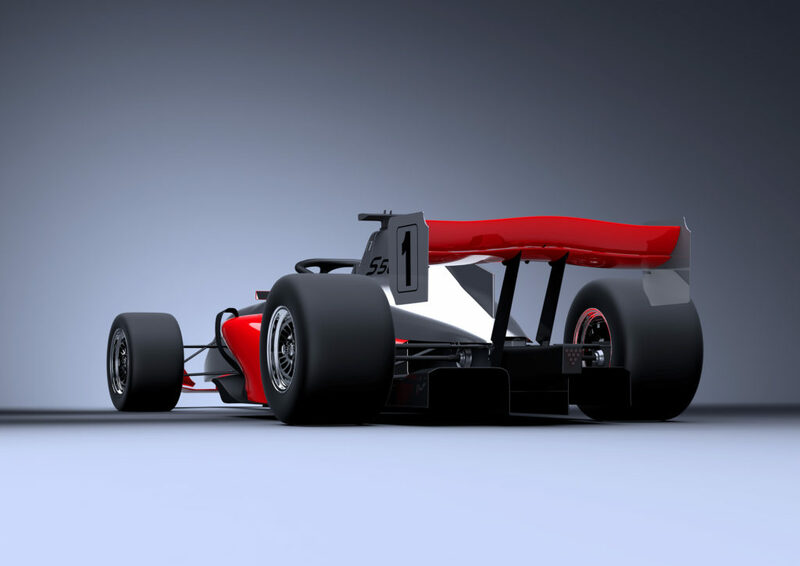 Australia’s premier open wheel category shifted to new regulations in 1964, moving from Formula Libre to the new ‘Australian National Formula’ for single-seat racing cars up to 2.5 litres. This category, which ran alongside the 1.5-litre formula at the same time, would ultimately morph into Australian Formula 1 in 1970. The F5000 era was where the true legend of the Gold Star was created, titanic battles in unruly cars between champion drivers like Max Stewart, Frank Matich, John McCormack and the great Alfie Costanzo. It was a headline act, the cars the stars of the show and the drivers the heroes, some say, at a level similar to names like Brock, Moffat and Bond in Touring Cars. The big-banger V8’s would be the staple of the Gold Star throughout the ’70s, before the category inevitably declined and was replaced in the mid 1980s by a succession of smaller international classes, including Formula Mondial and Formula Two. John Bowe was king of the Mondial era, winning his two titles back-to-back in 1984-85. Having been contested as a multi-round championship for its entirety, the 1987 championship was, and remains, the only Gold Star decided by one race: David Brabham powering his Ralt RT30 home ahead of Rohan Onslow to win a 15-lap AF2 affair as a support race to the Australian Grand Prix in Adelaide that year. 1989 saw the genesis of Formula Holden and a return to the original ethos of more powerful, Australian-built and developed cars competing. The Formula Holden era developed several of Australia and New Zealand’s current top stars, including Will Power, Scott Dixon, Mark Skaife and Rick Kelly, among a broad list of successful graduates. Formula Holden’s problem, however, was that it was stuck in the mud – lacking development as cars built in the early 1990s continued racing into the early-t0-mid 2000s. At it’s peak the racing was superb but the category began to falter as it entered the middle of the 2000s and the sharks were circling. An arm wrestle between the management of that class and the burgeoning Formula 3 category saw what was then called F4000 stripped of the Gold Star title in 2005, the champion of Formula 3 to be awarded the prize from that year on. The Formula 3 era produced plenty of moments, including in 2006 crowning the Gold Star’s first ever international (i.e. non Australian or Kiwi) champion in Brit Ben Clucas. Remarkably competitive title battles in 2007 (Tim Macrow won by two points), 2008 (James Winslow won by four points), and 2010 (Ben Barker beat Mitch Evans by a single point) were a highlight and the drivers the class produced proved the standard remained high. Despite efforts from the category to acknowledge and promote the award, the Gold Star award had by now slipped from anything resembling public consciousness. It felt like the governing body awarded it more as tradition rather than as a truly significant award of merit. South Australian Simon Hodge would prove to be the final Gold Star winner – at least for now – when he clinched the championship in 2014. 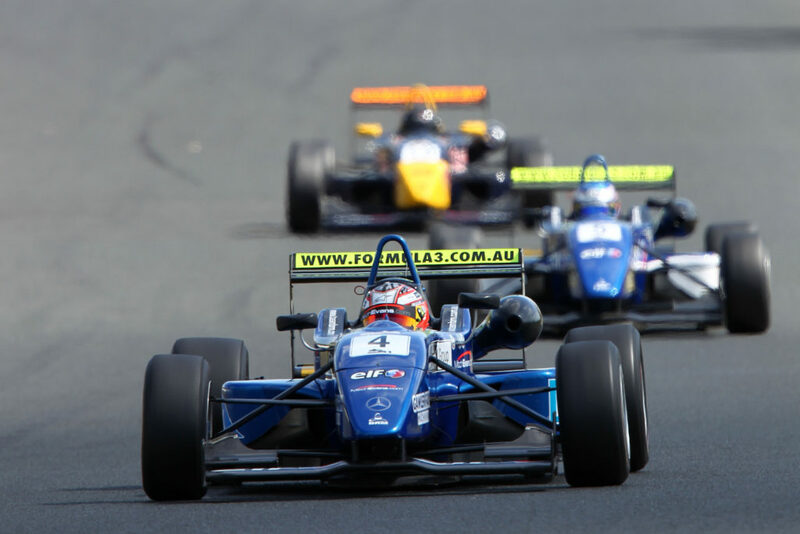 A few months later, CAMS unceremoniously pulling the award from Formula 3 early into the 2015 season as they began their reshuffle of the sport locally, citing low grid numbers as the major issue. The sad reality was that no one really cared any more. The rise and rise of Touring Car racing ensured that by the mid-1970s the Gold Star had begun to lack real importance, at least in a broad sense. The shift to categories that served for driver development rather than as something aspirational didn’t help. As good as Formula 3 cars were – in their prime they were as fast as anything that’s ever raced in Australia – they were always a junior category on the pathway, rather than a Formula 5000-style headliner. As such, with Formula 4 clearly designated a junior category and no other alternative, the award was parked for the first time in it’s 57-year history and has not been awarded since. The introduction of S5000, however, could and should change that. Assuming it works and can find its place in the marketplace, Australia’s modern interpretation of classic Gold Star categories deserves its chance to utilise the rich history and traditions the Gold Star created over nearly six decades of competition. If the category can achieve what it has been created to do, calling it the S5000 Australian Drivers Championship for the CAMS Gold Star should be the most commonsense decision made in Australian Motorsport for some time. If there’s a chance, however small, that S5000 can become something of a headline act, something drivers truly want to race rather than a mere step on a ladder, then the award will regain at least some of meaning and importance it once had. 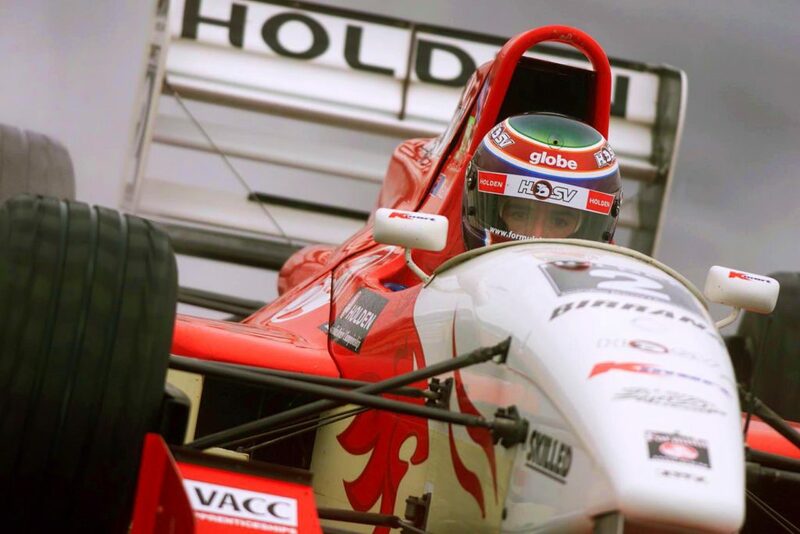 A new era of drivers can hustle big, hairy open-wheel cars around the circuits of Australia and try and inject some prestige and meaning back into what used to be a premier award in the sport. For now, we wait and hope that this incredibly valuable and rich part of Australian Motorsport History can be reinvigorated, and the feats of Stilwell, Costanzo, McCormack, Bartlett, Bowe and other greats can be heralded once more. Sources: MotorSport Magazine, CAMS, Personal archives. We're all about telling great stories about Motor Racing - about the past, the present and the future of our great sport. But we're not about social media style reactionary comment - our team of contributors are all vastly experienced industry professionals in their fields, allowing us to offer an insight that a forum thread just can not. We're here for the positive promotion of motorsport and telling stories of how we got to this point - and looking forward to where it goes in the future.